I used thick hemp for this necklace. Men usually want a thicker hemp than women. 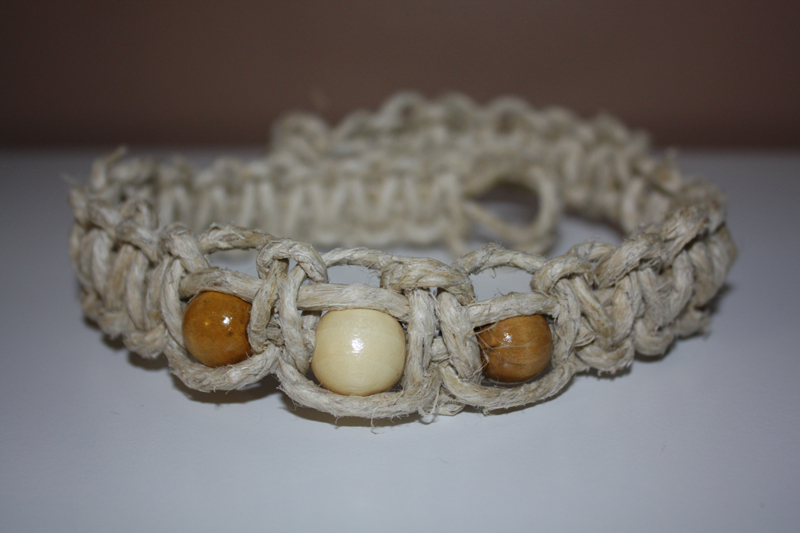 I used a square knot throughout the piece and used three very large wooden beads to compliment it. 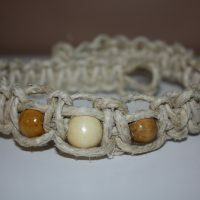 Due to the size of the hemp, I just used a knot rather than an end bead for a clasp. This necklace is 16 inches long and nearly 1 inch in width because of the thicker hemp used. The thick hemp is also a bit softer than regular hemp.